I like this guy's choices for most entertaining films of the decade. My list of best films, however, is going to be a bit different because I group them together where applicable rather than trying to distinguish various sequels from one another. No. 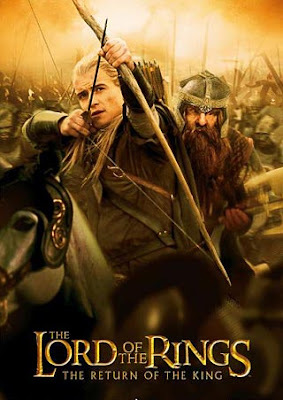 1: At the top of my list, as with the one in the link, is The Lord of the Rings trilogy - absolutely the most incredible cinematic achievement that I am aware of. In the No. 2 slot I would put the Pixar movies. Starting with Monster's Inc. in 2000, Pixar has had a remarkable record of success with its animated feature films including The Incredibles, Finding Nemo, Cars, Ratatouille, WALL-E and Up. The only animated film that comes close to the level of perfection achieved by each of these Pixar films was Kung Fu Panda. No. 3: Pirates of the Caribbean trilogy. The first film in the series was a surprise hit. The sequels got progressively cheesier, but were still enjoyable nonetheless. Johnny Depp almost singlehandedly raised the entire series from the very good to great. No. 4: The Bourne Identity trilogy. The best contemporary thriller series based on the Robert Ludlum books. Out does the tired, but recently reinvigorated Bond series. Matt Damon is excellent as the brooding superagent. The followup films are as good if not better than the first. No. 5.: Spider Man trilogy. Raised the bar on the superhero genre and probably paved the way for Academy Award-worthy superhero flicks like Dark Knight and Iron Man. No. 6.: The Harry Potter series. All of the films maintain a consistent level of quality and credit should probably go to the author of the series. I have yet to see the two most recent films. No. 7.: Chronicles of Narnia series. The first film was very good. The second fell somewhat short. Hopefully the third will mark a comeback and keep the series going. No. 8.: National Treasure 1 & 2. The first film was a hoot and Nicolas Cage was in top form. The second film was very derivative and I didn't like how it had to mess up the happy ending from the first movie to give it a setup for the new story, but it was still enjoyable. No. 9.: Ray/Walk the Line/Capote/The Aviator/The Queen. Call this the Bio-flick category - excellent movies with great performances by people portraying famous historical figures - Ray Charles, Johnny Cash, Truman Capote, Howard Hughes, Queen Elizabeth. No. 10.: X-Men - The first two movies were excellent. The third was a disappointment. I haven't seen the Wolverine movie yet. Minority Report, Emperor's New Groove, The DaVinci Code, Night at the Museum, Seabiscuit, Star Trek. Good article from Jonathan Chait explaining Why the health care bill is the greatest social achievement of our time. This legislative victory ensures Obama's re-election in 2012 and his legacy in history. The economy is starting to slowly recover (the Stock Market already has recovered). We are slowly withdrawing from Iraq and will be out of Afghanistan over the next couple of years as well. A lot of the stimulus funds will start to kick in next year and provide a needed boost to the sagging job numbers. And with all these things happening, the reforms to the health insurance industry will reinvigorate the economy as the pressure of rising health costs is lifted off of businesses like a boot being taken off of their necks. The next challenge will be climate change legislation, but once again the Republican predictions of gloom and doom will prove to be false. I can only hope that more and more people will finally start to recognize this pattern and quit buying into the garbage being spewed daily by the rightwing radio yakkers and Faux News propagandists. Froma Harrop, whom I am not prone to quote veru often, had an excellent column today that said much of what I had been wanting to say. 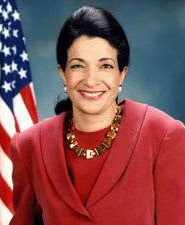 Sen. Olympia Snowe's deeply disappointing antics during the health care debate demonstrated that she is no longer someone who can be considered a "moderate" and has instead thrown her lot in with the far-right radicals who control what is left of the Republican Party today. There is not a moderate wing of the GOP today. The last true moderate left when Arlen Spector switched parties. Olympia Snowe was the last hope for a Republican moderate, but after going along with the filibuster of health care reform it's clear that there is not much difference between her and someone like Kay Bailey Hutchison. I mean, Ben Nelson and Joe Lieberman finally came through in the end and Olympia Snowe still filibustered. Pathetic. I hope that the good people of Maine are just as disillusioned with her as I am. And that goes double for the worthless Susan Collins. "Was it really that bad? Pretty much, yes. One barely has to give it much thought to remember what made this decade one Americans don't want to remember: 9/11, the Great Recession, two devastating wars, anthrax, Katrina, Tom DeLay and the culture of corruption, Enron, Madoff, sniper shootings, an explosion of debt, the entire Bush/Cheney presidency. Median incomes went down. Poverty went up. Global warming got worse. Fox yanked 'Firefly' after 14 episodes, while 'According to Jim' aired 182 episodes." Yes, canceling Firefly was, I'm sure, the absolute low point of the decade. However, seeing as how both of my children were born during that decade, it still comes out to a net positive. Krugman is worth posting in full this week. Unless some legislator pulls off a last-minute double-cross, health care reform will pass the Senate this week. Count me among those who consider this an awesome achievement. It’s a seriously flawed bill, we’ll spend years if not decades fixing it, but it’s nonetheless a huge step forward. It was, however, a close-run thing. And the fact that it was such a close thing shows that the Senate — and, therefore, the U.S. government as a whole — has become ominously dysfunctional. After all, Democrats won big last year, running on a platform that put health reform front and center. In any other advanced democracy this would have given them the mandate and the ability to make major changes. But the need for 60 votes to cut off Senate debate and end a filibuster — a requirement that appears nowhere in the Constitution, but is simply a self-imposed rule — turned what should have been a straightforward piece of legislating into a nail-biter. And it gave a handful of wavering senators extraordinary power to shape the bill. Now consider what lies ahead. We need fundamental financial reform. We need to deal with climate change. We need to deal with our long-run budget deficit. What are the chances that we can do all that — or, I’m tempted to say, any of it — if doing anything requires 60 votes in a deeply polarized Senate? Some people will say that it has always been this way, and that we’ve managed so far. But it wasn’t always like this. Yes, there were filibusters in the past — most notably by segregationists trying to block civil rights legislation. But the modern system, in which the minority party uses the threat of a filibuster to block every bill it doesn’t like, is a recent creation. The political scientist Barbara Sinclair has done the math. In the 1960s, she finds, “extended-debate-related problems” — threatened or actual filibusters — affected only 8 percent of major legislation. By the 1980s, that had risen to 27 percent. But after Democrats retook control of Congress in 2006 and Republicans found themselves in the minority, it soared to 70 percent. Some conservatives argue that the Senate’s rules didn’t stop former President George W. Bush from getting things done. But this is misleading, on two levels. First, Bush-era Democrats weren’t nearly as determined to frustrate the majority party, at any cost, as Obama-era Republicans. Certainly, Democrats never did anything like what Republicans did last week: G.O.P. senators held up spending for the Defense Department — which was on the verge of running out of money — in an attempt to delay action on health care. More important, however, Mr. Bush was a buy-now-pay-later president. He pushed through big tax cuts, but never tried to pass spending cuts to make up for the revenue loss. He rushed the nation into war, but never asked Congress to pay for it. He added an expensive drug benefit to Medicare, but left it completely unfunded. Yes, he had legislative victories; but he didn’t show that Congress can make hard choices and act responsibly, because he never asked it to. So now that hard choices must be made, how can we reform the Senate to make such choices possible? Back in the mid-1990s two senators — Tom Harkin and, believe it or not, Joe Lieberman — introduced a bill to reform Senate procedures. (Management wants me to make it clear that in my last column I wasn’t endorsing inappropriate threats against Mr. Lieberman.) Sixty votes would still be needed to end a filibuster at the beginning of debate, but if that vote failed, another vote could be held a couple of days later requiring only 57 senators, then another, and eventually a simple majority could end debate. Mr. Harkin says that he’s considering reintroducing that proposal, and he should. But if such legislation is itself blocked by a filibuster — which it almost surely would be — reformers should turn to other options. Remember, the Constitution sets up the Senate as a body with majority — not supermajority — rule. So the rule of 60 can be changed. A Congressional Research Service report from 2005, when a Republican majority was threatening to abolish the filibuster so it could push through Bush judicial nominees, suggests several ways this could happen — for example, through a majority vote changing Senate rules on the first day of a new session.